by Matt -- Nearly 50 years prior to the current Brexit, LeavEngland, Byerland, or whatever the current state Euro State bifurcation tagline is, this Ford got the itch and peaced out. No matter your political leanings or if you care at all, we can all agree on one thing. This beautiful and quirky English Ford is the Marmite to our automotive whatever-you-put-Marmite-on. 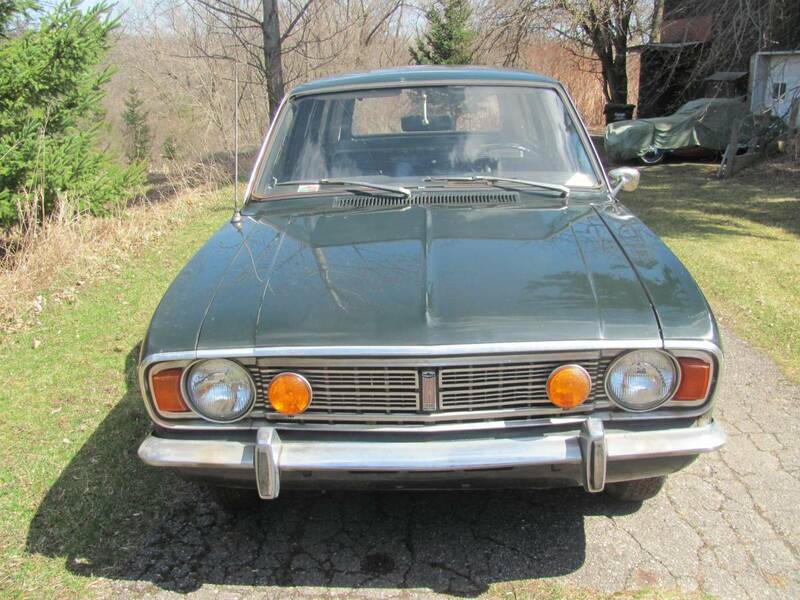 Find this 1968 Ford Cortina Deluxe Estate offered for $4500 in Lansing, MI via craigslist. The Mark II Cortina looks shockingly like the contemporary American and Australian Ford Falcons from the front, which is sort of classically aggressive, I guess you could say. 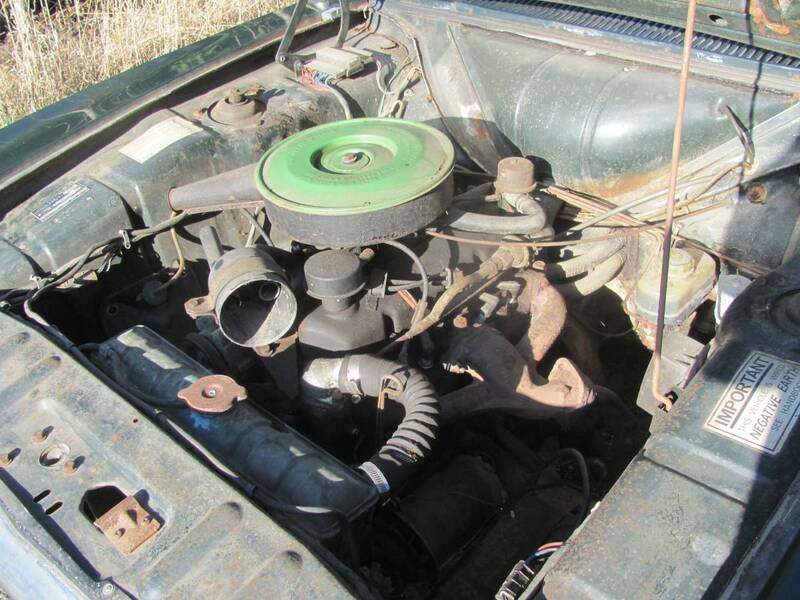 The condition of the body looks shockingly good and despite being located in rust belt Mecca, it doesn’t appear to have any significant corrosion. Most body panels would be pretty tough to find these days, and who wants to get a hatch shipped over from the UK? The driving lights and stock hubcaps are details that help make the entire package come together. It’s tough to think of many ways of improving the car in general without trashing the originality. Maybe some vintage thin whitewall M+S tires, limited slip, and some Webers? Powering this Cortina is the famous Kent motor that was used in Formula Ford for years. A notable feature is the cross-flow design that put intake and exhaust manifolds on opposing sides of the cylinder head. In addition to offering better flow and giving the engineers better flexibility with valve and plug placement, this kept the manifold that you want to be icy cool away from the one that glows orange. In comparison to locating other bits and pieces for this car, it practically rains Kent motor parts. If you want to start messing with these engines, we’re talking BMC B-Series levels of tribal knowledge and parts availability. Something about the tiny 4-speed gear lever, round rally gauges, and big foam padded steering wheel says ‘drive me really fast through the woods’. The large wagon cargo area and comfy looking seats say ‘take me camping’. I’m thinking there could be a new automotive genre surfacing. 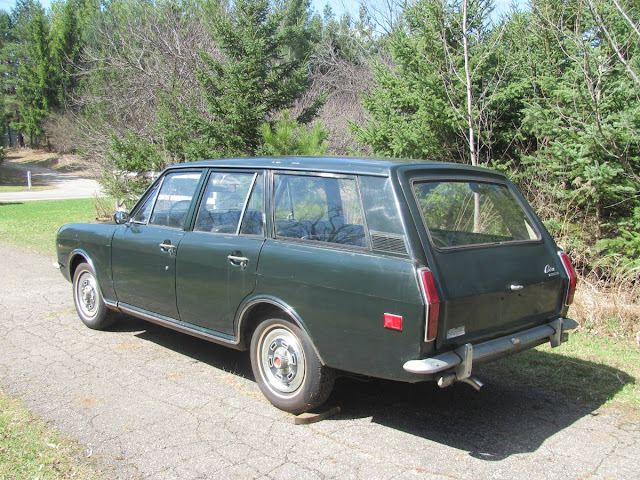 Rally wagon camping trips anyone? Anyone? OK, now that I got that out of the way, I love this car. My first car was a 1970 Cortina GT, so this thing ticks almost every box: rust free, small wagon, Kent engine, and nostalgia. If it were mine (someone stop me!) 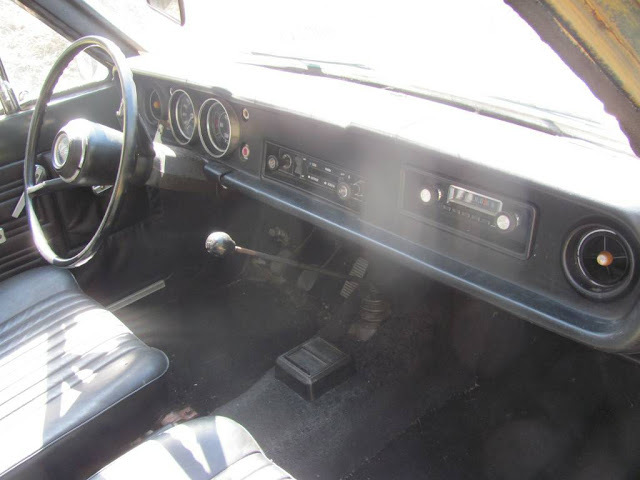 I would look around to see if I could source the GT bits (wooden dash with full set of gauges, the short shifter extension, the header and Weber, but maybe no the GT gearbox, which had a stupidly-high first gear). Or I might just leave it the hell alone, if it truly is original. Go get it - I'll bring my Amazon estate by and we can have an old wagon rally. Even non-Locort Mk1s are pulling real money now, so one might speculate on the future of the Mk2s in the US. Pinto 2-liter was OE on this body a couple years later, Cossie YB is a Pinto block with expensive stuff, ergo drop in and smile. Okay, curse for a couple months while troubleshooting, THEN smile. I think I'm about to pull the trigger on some suspension/steering stuff from the UK while the pound dwells in the basement, long-term I'm inclined to think Brexit is a net positive for the UK but I'll take advantage of the current situation. My experiences ordering from the UK have been that shipping cost generally approximates the VAT paid by UK residents (but not by us) so I end up paying no more and sometimes less than a Brit would for product delivered to my doorstep.